Every time I have gone out for the last week, I have come in to all three wee ones painted by Charlotte. She really just loves being a big sister. I have tried painting Amaia myself and there is no way to make her sit still long enough to paint anything, so I really have to take my hat of to Lots. What a star. 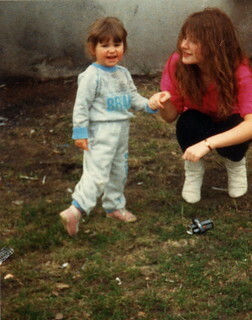 I can't imagine Charlotte's life if she had never been a big sister. She's definitely much more comfortable in that role than in the role of little sister, in general. In any case - if she keeps up the practice, I reckon I know what kind of summer job she'll be looking for when she's bigger! 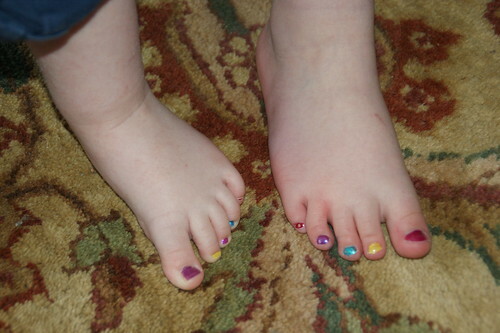 Teeny toes, a photo by PhylB on Flickr. After my wee placing request grump, I have to add a footnote. The council has decided from August that they want the school uniforms to change completely across the whole council area. I'm not sure one hand knows what the other is doing however... Friday was the final deadline for ordering the new uniforms, so when did the primary one placing requests come through? Saturday morning of course! So Anna is now happily going off to the same school as her siblings did before her... unfortunately however she is potentially going naked unless I can persuade them in the morning to take a late uniform order! 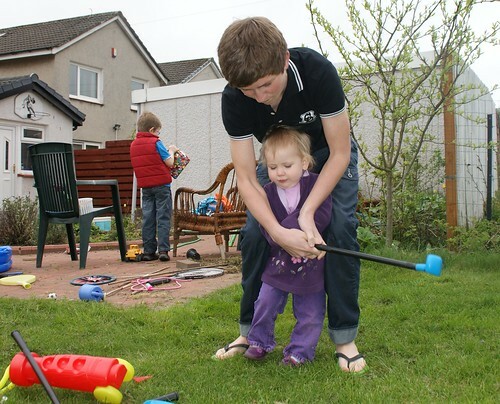 Following in Pumpa's footsteps, Marcel has taken it upon himself to teach the babies golf. 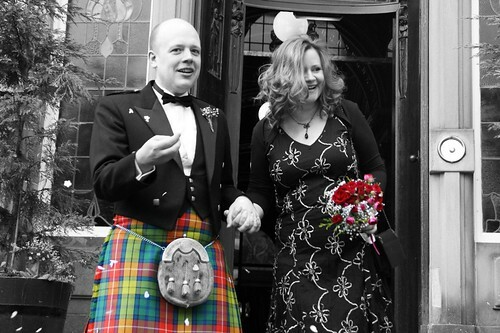 It's funny how normal a concept that is to me as a Scot (despite not being a golfer myself). Thomas was telling me last week his Danish friends fall about the place laughing, thinking it is incredibly eccentric to even know what a golf club is at the age of two! Lavender scones, a photo by PhylB on Flickr. Thomas has been cultivating a jar of lavender sugar now for as long as nine months. Fresh lavender from Tuscany was mixed in with sugar and eventually today, he decided to follow his ever-so-fancy lavender scone recipe. We waited with bated breath till he brought them through for four o'clock coffee. Awwh - wee Lotsie! She went to an all night birthday party for only the second or third time ever last night. 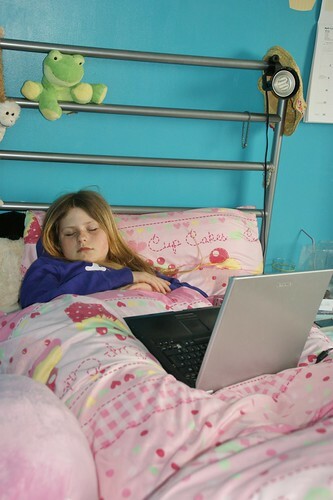 She came home, sat on her bed, turned on facebook and then fell asleep for the next 16 hours! When I got divorced the last thing the kids needed in the upheaval was to be made to change school too. Initial plans for me to buy my ex out of our house fell through... and the housing market hadn't hit the fan yet so I didn't manage to buy a new place in the same catchment area. We are literally two minutes across the catchment boundary. So when it came time for them to start moving onto high school, both Marcel and Lots unsurprisingly opted to stay with their friends of seven years and move on to the high school they should have been going to, had I never moved out. I have to say however that the way the council deals with placing requests is fairly stressful for for the children in question. For some reason, the child's application goes in to the council on Dec 1 of the preceding year. The child is handed a form to take home to their parent stating 'I wish to accept the place on offer at my catchment high school or I want to make a placing request'. Charlotte, of course, saw she had a place at a school that not a single one of her (approx 100) classmates was going to and looked vaguely panicked. 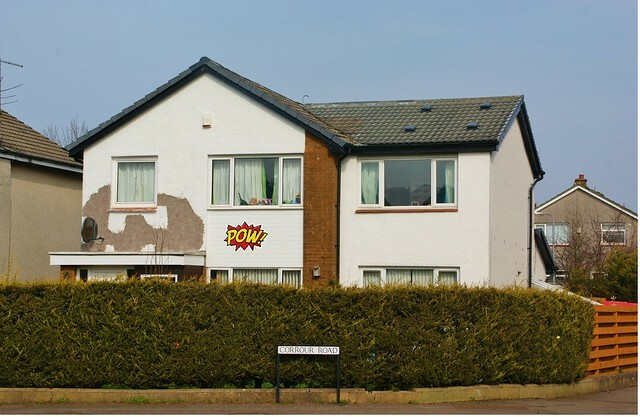 Over the course of the next five months, on numerous occasions leaflets and handouts were brought into the p7 class sent by the council and handed out to everyone except the three or four kids who were in the same situation as Lots - parents had divorced and moved just across the boundary. Each time the leaflets came round Lots claimed not to be upset, though one of the other girls spent the best part of the last five months bursting into tears every time they were handed out. 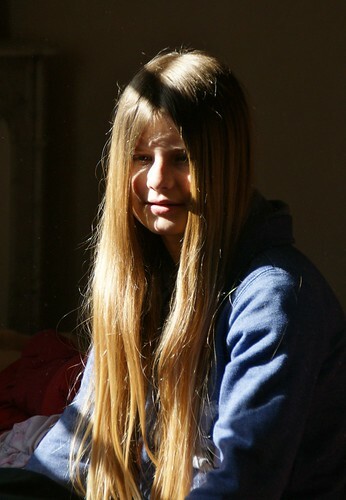 Five months is a very long time for an 11 or 12 year old already dealing with puberty and the rest. The very kids who had already been through the upheaval of their families splitting were put through five months of stress. When the letter accepting to grant her a place in the high school attached to the feeder primary she'd been in since five finally dropped through our letterbox on Saturday morning, Charlotte had already been through asking me appeal procedures and the rest. I just think there must be a better and more sensitive way of dealing with this type of request. At the very least, keeping the kids themselves out of the loop would help. If Lots isn't getting her handouts till next week, frankly there was no need to hand out the leaflets in front of these kids as much as two months ago. François and Carine, the two remaining members of the branch of the family who got back in touch with me last week, also got back in touch with me on Wednesday. It feels good to have been brought back up to date with all that has happened with people who were my family for twenty years - the people who never stopped being my family. I can't wait to meet the new babies: Baptiste, Thomas, Cloé and Charline! As I have said often, it sometimes felt, when we split, as if my huge French family had been put in bus which had run off a cliff. I come from a tiny family (though it is growing now with my kids and my brother's). I grew up with no aunts, uncles, cousins - just a brother and two parents. 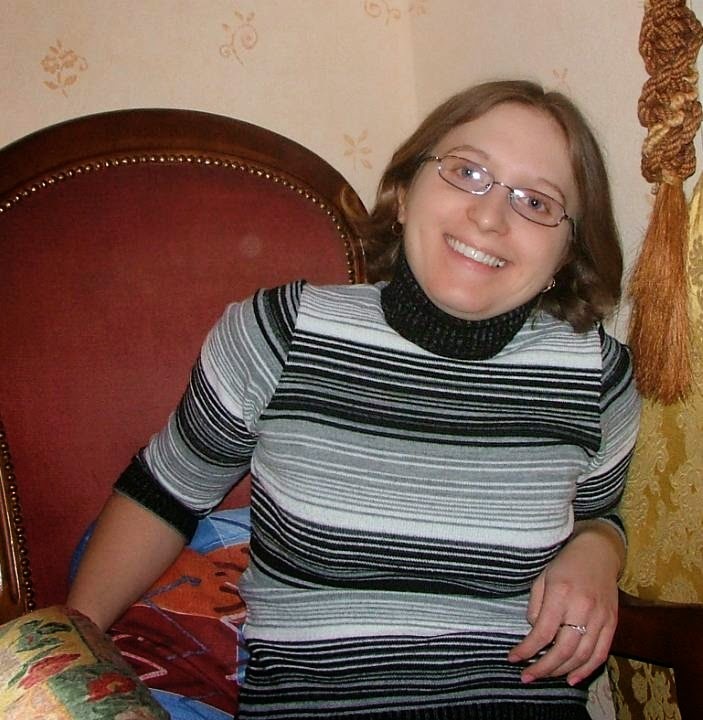 In France I had a mother-in-law, three sisters-in-law, three brothers-in-law, three nieces (and their partners), two nephews, and one of my nieces had a baby. Over night, they all disappeared from my life and it tore me apart. 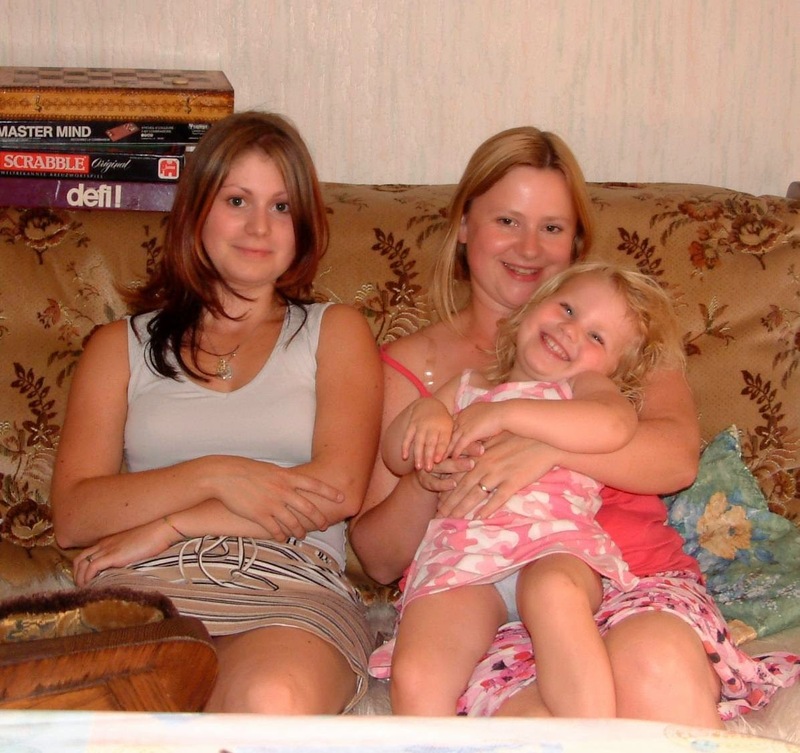 I had been an auntie to my three nieces, in particular, since they were two, six and eight and suddenly after twenty years, I lost them. But slightly worse, I thought, than the bus crash scenario, was the fact that my children were still seeing them. My family was continuing and I was excluded. I ached to hear how they were doing, how their lives were progressing but the divorce was hellishly acrimonious and he was there giving them all the only version they would ever hear of the events. And then, this morning the unexpected happened. I was working so on my computer. Facebook was on in the background as usual. Completely out of the blue the facebook chat light lit up and there was my niece, after nearly seven years asking me if it was ok for her to still be my niece?! What a question! I wished I could sweep her up in my arms as I used to when she was a child, but she's a fully-grown woman - a mother herself now. After talking to her all morning and seeing photos of her daughter I'm completely emotionally drained - what with dad's collapse and hospitalization this week and now this - but what a wonderful day it has been. I feel so lucky to have her back. Mum, Anna and 'Emily', a photo by PhylB on Flickr. Since dad was taken into hospital on Wednesday, Mum has been eating with us every night before going up for visiting. Today I heard Anna ask Thomas - Why is Granny eating at our house all the time? Thomas explained that with Pumpa away at the moment because he's sick, it makes sense for Granny to eat with us so she has someone to talk to and doesn't get lonely. Anna looked more than surprised and asked -Why doesn't Granny talk to her imaginary friends when she's home alone? 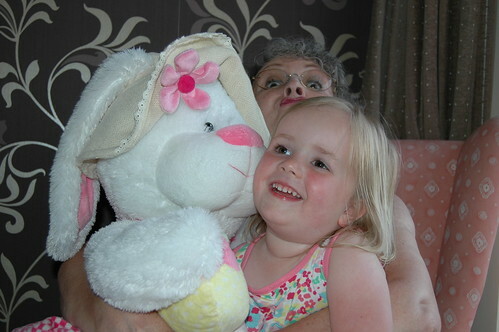 Then absolutely dumbfounded she enquired - Doesn't Granny have any imaginary friends???? Flying Ryanair is just getting to be a joke. I've ranted about them till I'm sick ranting about them - about their fees x 7 for using credit/debit cards, the fact fact they abandoned their old policy of letting babies and disabled people pre-board, their nonsense about checking in on-line or fining people £60 each - I don't tend to lug a printer about in my rucksack when I am camping, personally - give me the choice guys! Anyway today's rant is about luggage. Last summer was bad enough - Thomas's hand luggage going out to Pisa weighed 10.2kg, Anna's weighed 6kg - they held up a queue of 100 people while they moved two newspapers from Thomas's case to Anna's. I can fully understand them chucking out his newspapers if he had been alone - they are petty like that, but when he was carrying both cases - that is just jobsworthing to the nth degree. So last week we flew to Paris. Unwilling to pay the 120-odd quid surcharge to take a couple of hold cases, we went for the crazy option seven small suitcases as you are allowed to carry them on board yourself free of charge. Funnily enough, the other 182 passengers on board had had the same idea - ho hum. So we all struggled up the stairs with our 189 small cases and fought for locker space to store them (having all had them size and weight-checked at the departure gate.) On arrival at Beauvais, only three cases came off on the carousel for that full flight, so they literally flew with a full plane and an empty hold. We then struggled across Paris on Sunday - a toddler, two small kids, two big ones, two adults, seven cases, a buggy and a rucksack - on foot for the first half mile, then bus, regional train (RER), metro (up and down stairs, stairs and more stairs and it was during the Paris Marathon so we were knee-deep in runners who'd just completed the course), bus and then foot to the Ryanair plane at Beauvais - paying in total something like 150 Euros to get out into the middle of nowhere to their stupid airport. Next time, it'll be a sensible airline into CDG - Ryanair - you've pissed me off one last time - whenever there is an alternative in the future, Ryanair will be ruled out. 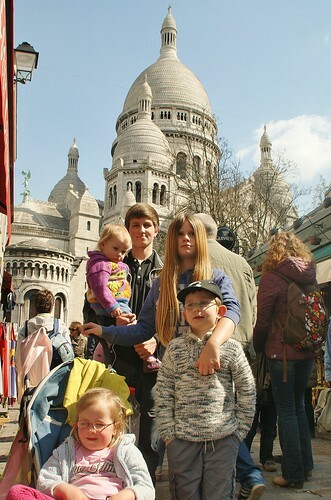 I took the kids up to Montmartre the other day to see the artists sitting drawing in Place du Tertre. Obviously with so many children, I had to run the gauntlet of artists all saying they could sketch them for some astronomical fee if I had a spare couple of hours. But the most shocking for me was just as I was taking this photo. A woman of about 50, sketch pad under her arm, asked Marcel who was standing less than a metre from me if she could draw his cute, little daughter for him! Arg! Léon needed a new passport last year. We called up the UK passport photo guidelines which stated that although glasses were borderline acceptable, they much preferred glasses to be removed on your passport photo. This seems ludicrous to me given the great detail they go to about not opening your mouth or smiling as your features will be so distorted as to render you unrecognizable. Why on earth do they want your glasses off? 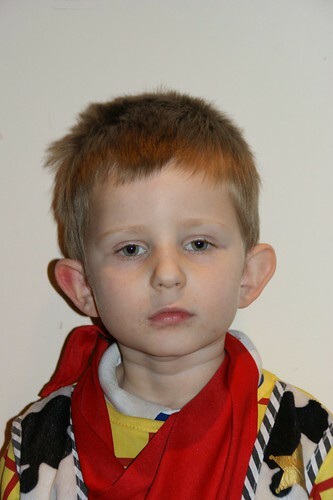 I barely recognize Léon without his glasses as he's worn them all the time since he was four! Anyway, we followed the rules and he got a passport containing the above (left) photo. Then Anna's Danish passport needed replacing. We called up Danish passport photo guidelines and they stipulate that if you wear glasses, they must be present on your passport photo. So Anna got a passport with this photo on it. When Léon found out this anomaly at the weekend he stated categorically that he wanted a Danish passport now, and would be refusing to travel on his UK passport henceforth! Emmm - could be difficult. He hasn't had his French passport renewed since he got his first glasses, so I don't know whether French passports prefer glasses on or off, but given a certain person's reluctance to pay for anything I can pay for instead, he's probably going to have to wait till he's an adult before that's renewed! 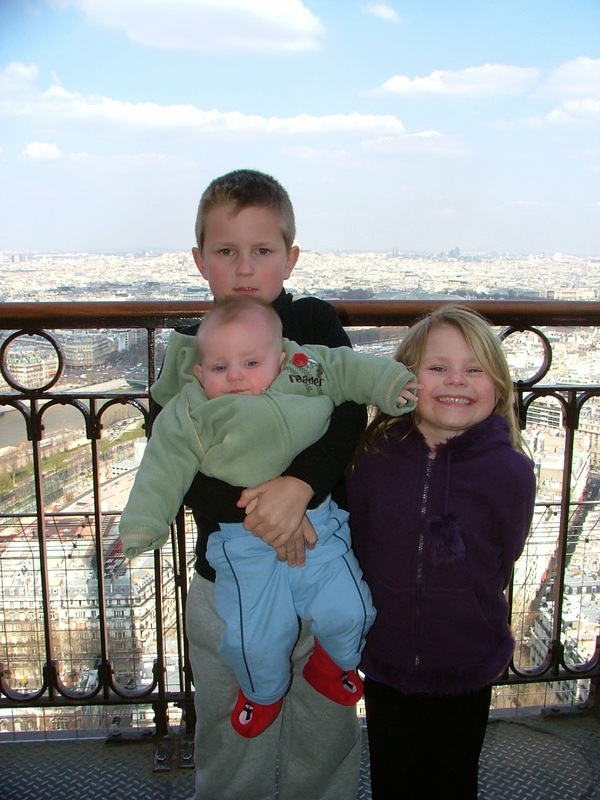 Life's a bit complicated when you have five dual-nationality kids! 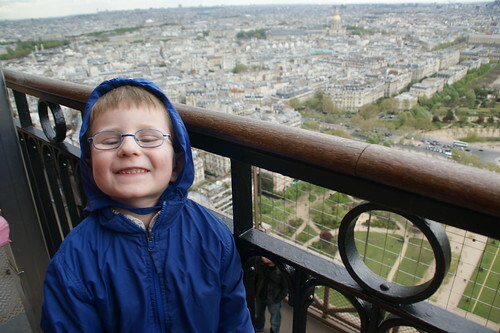 I don't think I have ever seen anyone look as proud and happy as Léon when he reached the top of the Eiffel Tower. I didn't have the heart to tell him he'd been before - but I guess he doesn't remember! I don't always get Charlotte. Charlotte has a sweet tooth. She would live on chocolate, sweets, candy floss, nutella, and all sorts of rubbish - preferably washed down with lashings of double-cream - if I didn't ration her. She'd even manage to work her way through a box of sugar lumps if she thought she could get away with it. From she first started talking, however, Lots has claimed to hate jam - in all its flavours - with a passion. 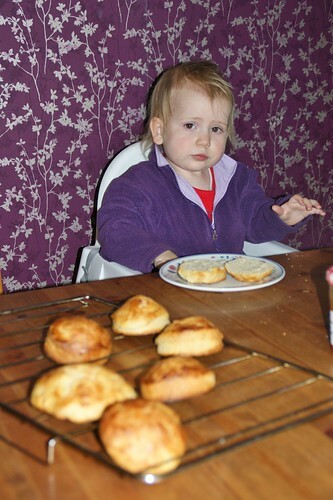 She'd rather have no breakfast than let a jam sandwich pass her lips. Given the make-up of her character and tastes, she should love jam, but she refuses stubbornly to taste anything remotely jam-like. Sulley?, a photo by PhylB on Flickr. 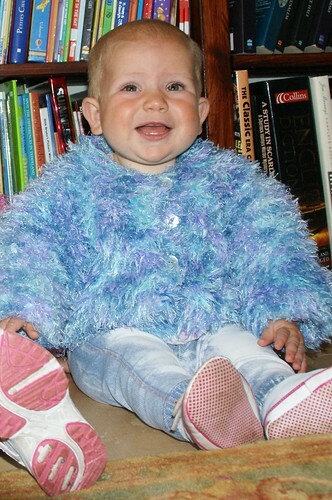 Here's Amaia dressed up to look like Sulley out of Monsters inc... And that's as close as any of us managed to get to any Disney characters despite being a couple of stops away from Disneyland Paris all week! Personally, I'm not a fan of all that US, barf-worthy waving and shaking hands with Mickey but I'm not heartless... I am a mother and I know at least three of my babies would have been absolutely bowled over by a day in Eurodisney. However, I fail to see, five years into a financial crash, how the place is still open at all. I did enquire how much it would be for me to take the kids in for one day. Note the number there - it says one day, not one week! £294 for a one-day pass for my family - this does not include food, overnight accommodation or anything like that - this is just entrance to the park! 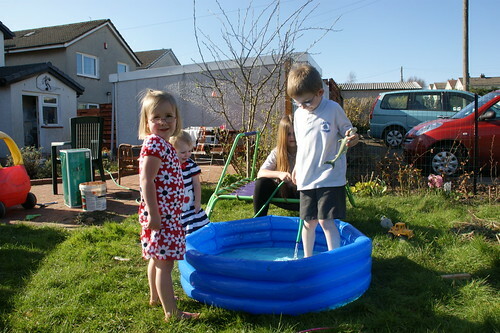 (And worse still Amaia doesn't even pay yet, so this is just mum, dad and four kids inc a 4 and a 6 year old! For some reason both Marcel (14) and Charlotte (12) are both classed as adults already - that's a wee bit cheeky in my book - they must know if you are taking in your teenager and pre-schooler, it is your pre-schooler who really wants to be there and your teenager is already not overly impressed at getting dragged along, so making you pay full adult price is a bit steep!) 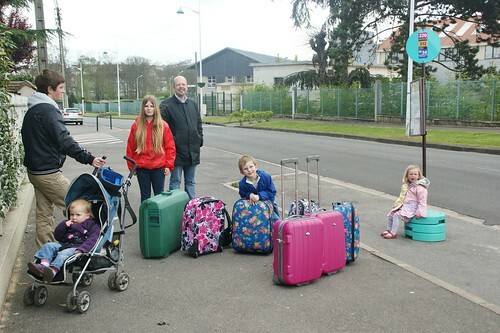 Given it only cost £430 for a seven bed villa in Paris for seven nights, I fail to see how a day pass for the same family at Disneyland can cost just £100 less. So that's a big thumbs down, Disneyland, from the Buchanan-Widmann-Gautier family! It's never dull being married to a foreigner... I should know, after all I've had my fair share of foreign husbands! First time round I changed my name - It was more the done thing back in '91 than these days. I wasn't so much asked by the registrar if I wanted to change it, as told when I signed the marriage certificate 'This is the last time you will sign Buchanan'! That seems strangely out of date now - though I have to say I am still more often than not called either Mrs Gautier - when one of the schools phone me, Mrs Widmann, when someone rings my doorbell (marked Thomas Widmann and Phyllis Buchanan) or Mrs Buchanan-Widmann. I even get Mrs Buchanan by people who have sussed that a) I am married, b) I call myself Buchanan. Ho hum! One day someone will address me as Ms Buchanan as it says on my personal documents! Anyway that wasn't the topic - just one of my bugbears. I keep hoping I'll still be around when society catches up with the reality that Miss Gautier's mother is no longer necessarily Mrs Gautier, and that if Master Gautier joins Beavers, sending a large Beavers welcomes the Gautier family card, though it may be a nice gesture, isn't always appropriate! So - back to foreignness. First time, as I said, I became Gautier. So I too had all the fun. People, of course, have heard of Gautier because of Jean-Paul Gaultier. Gautier actually has three different spellings is France each with a different frequency. Firstly, and by far the most common is Gauthier, second and not nearly as common is Gautier, third and almost unheard-of is Gaultier. But of course we Brits only know one Gaultier - so I spent half my marriage correcting the spelling of my name from Gaultier to Gautier (and still have to on everything my kids ever sign up for). And that's just the clever ones who actually sussed my name at all. I got various fun ones over the years: Phyllis Gucci (I wish! ), Phyllis Gottier, Phyllis Got-here, Phyllis Goatie, Phyllis Goatbeard... Snailmail caused daily bouts of hilarity. I used to take two - one with salt, one with pepper on holiday. They were just the right size. I'd have two or three filled with washing powder, one with a sewing kit, mixed herbs etc. On a picnic, if you'd taken enough photos, you and a partner could use one each for drinking wine slightly more delicately than swigging it from the bottle. Packing for a trip recently, I did wish I'd kept just a few from the old days! It's funny... 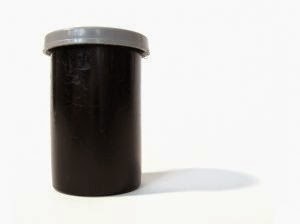 I bet if I showed my kids this photo, they wouldn't even know what it is! 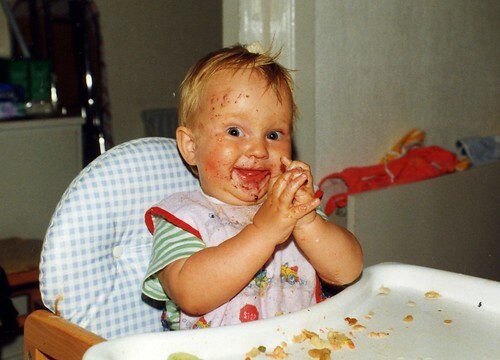 Marcel learning to eat, a photo by PhylB on Flickr. 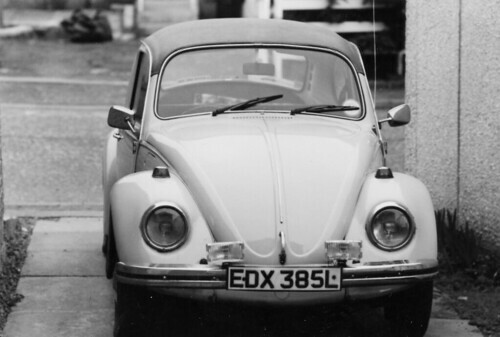 84 coolcar - the first i ever drove, a photo by PhylB on Flickr. I've never been a fan of personalized number plates. I've always liked to think that if I got to the stage of having that amount of money to waste, I'd rather give it to cancer research, or sponsor an orphan in the 3rd world or whatever - but that's another rant... I'm sure many of my close friends have them, and I can't fall out with the whole world! Anyway, what I was going to say about personalized number plates was - given they were brought in, presumably to be used as status symbols, are we now reaching a point four years into the recession where not having one is actually a bigger status symbol? I've noticed cars I expect to have personalized numbers - big BMWs, Mercs and even the jeep-shaped Porsches whizzing past me when I am in Thomas's old Micra in the M77 sporting brand new 62 plates instead of ZZ 3 and the likes. Now we can't afford to change our cars every three years in this new economic wilderness, is having a current number plate the new way to show off your wealth?! With the sudden and unexpected good weather the last few days of March came the reminder of the curry torture we suffer all summer - well on the sunny days anyway! The problem is the Indian restaurant across the road from our house. Despite being in business since the Harvie Avenue shops were built, possibly as far back as my high school days, it isn't wonderful. Their curries are watery and insipid and I doubt they have ever used a fresh herb or spice in their kitchen. I think they are more a 'two heaped tea spoonfuls of smart-price curry powder' type of place to be honest. You couldn't pay me enough to eat there... 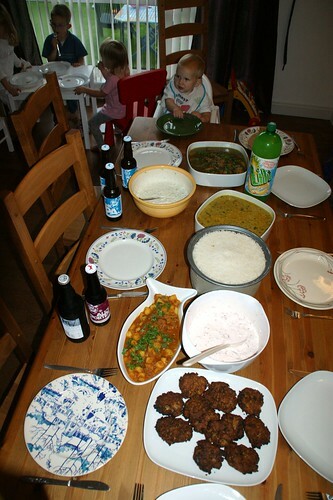 There are so many better Indian restaurants in Glasgow and Thomas is an expert Indian chef. The problem is that somehow despite the mediocrity of their actual food, they somehow manage to emit an absolutely mouth-watering smell, particularly early evening when I am sitting down to consider what we can have for dinner. I have no idea how they do it - maybe they put all their fresh herbs and spices into their extractor fan to tempt people in while simply wafting the odd dried chili at the actual meals! Anyway the result is that if I happen to be sitting in the garden, the smell means I can't think beyond curry, and that's not exactly going to be great for my figure, is it? The only solution therefore is to wish for a summer with temperatures as mediocre as their culinary ability so I don't make it out to my garden bench too often! But that would be a bit depressing too! I wonder if food colouring is one of those markers of the thresh hold between childhood and adulthood? Charlotte made these cup cakes on Thursday and iced them herself. 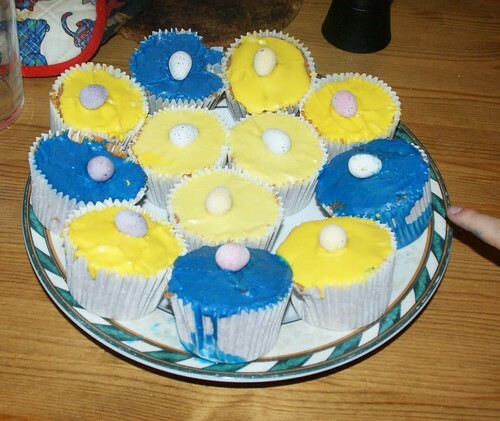 Charlotte and her younger siblings thought they looked so appetizing they wanted one of each colour, each. Marcel, Thomas and I couldn't really get past the colour. They were sitting there on the table looking like a culinary ad for Ikea! Oh, and one last bugbear... when did they become cup cakes anyway? They were fairy cakes when my granny taught me to make them in my spotty pinny at the age of five, and to me they'll always be fairy cakes! Anyway - look how happy they made my Bopster! I don't usually have time for cover versions of American Pie - but Weird Al's just leaves me speechless with admiration! Mind you, both my sons, my nephew and brother are all Star Wars daft, so just put up with me. Am I getting old, or are kids making the world more complicated than it needs to be? The other night Marcel, Charlotte and I were watching Groundhog Day for probably the twentieth time! We don't usually watched movies more than once or twice but this is in everyone's top ten so is a good one to unite us round the TV. We got to the snow scene and Phil and Rita started dancing to Ray Charles' old classic 'You don't know me'. Because we've all seen it so often none of us was giving it our full attention. I was working on my laptop, Marcel was on facebook on his laptop and Charlotte was also playing a game on hers. and started fiddling with it and holding it up. 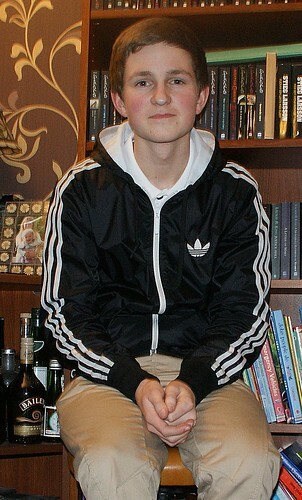 I asked what he was doing and he looked at me like I came out the ark and told me he was 'shazaming' it. His phone app would listen to the tune and tell him what it was. He had joined the song too late so it failed to detect it. He skipped back and put the scene and the phone on again. Frustrated when it failed a second time, Lots grabbed her phone too and the two of them started 'shazaming' it! I asked why, given they were both on laptops, they didn't just google it (or better still ask me - the old fogey in the room - as I could actually tell them what it was!) But both were determined to show off how no mortal being could live without Shazam. I turned my laptop round, typed 'groundhog day you don't know me', clicked on the first link and was soon playing them the whole tune on Youtube while they both cursed and spat at 'Shazam', still determined to show me I had simply been lucky to find it before them! I did feel quite smug though! 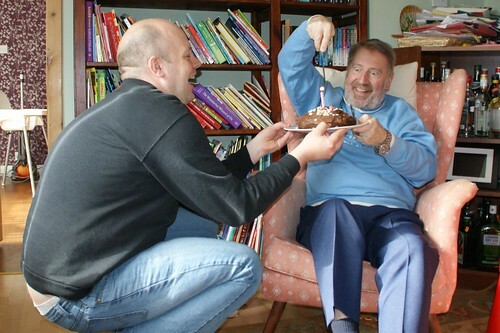 Pumpa's birthday cake 2011, a photo by PhylB on Flickr. Thomas and I watched Inside Job the other night. Despite both being fairly into economics, following stock markets and the likes it was still absolutely astounding to be reminded of the magnitude of what has been going on for the last decade or more in the US economy. To see all the same culprits pop up in Obama's government and realize they haven't the slightest intention of regulating the banks any more in the future than they did in the past was more than soul-destroying, especially given that any future Republican president would be even less likely to look in that direction than Obama if he scrapes back in... It was thoroughly depressing. I don't know whether to be proud or scared witless! 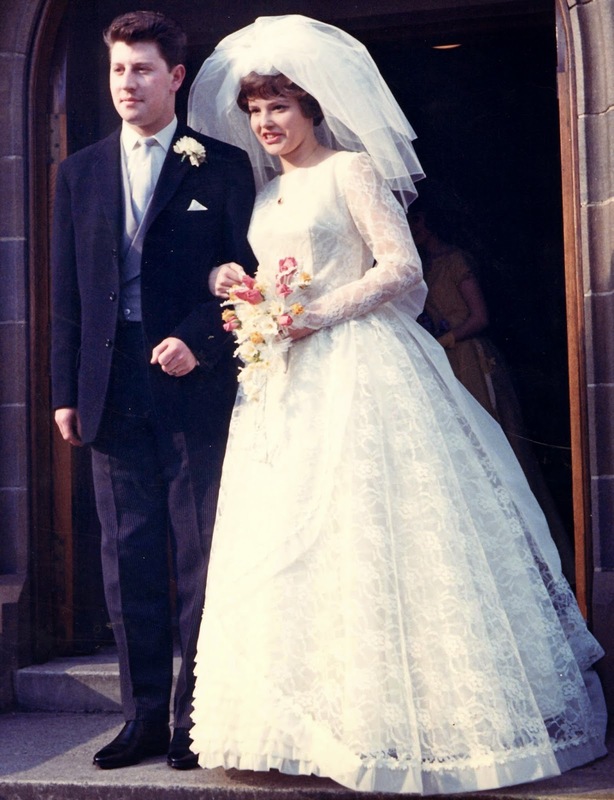 Congratulations to mum and dad - married 47 years ago today. (Looks like it was a snow-free day back then!) I'm not sure many of my generation will make this incredible milestone. 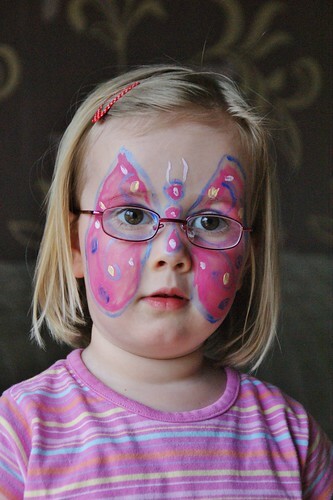 Facepaint, a photo by PhylB on Flickr. I had forgotten how much more face paint we go through when the biggies are away on one of their three compulsory annual holidays with my ex. 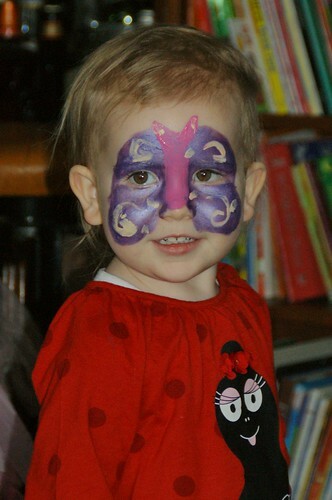 Anna just doesn't know what to do without them and constantly mopes around until I cheer her up with a bit of face paint. I should charge it to my ex! The other issue, as time goes on, is her incessant chatter. I think she feels she has to compensate for all three missing children single-handedly talking, talking and talking without ever stopping for a breath - my nerves are frayed! When she finally runs out of things to talk about, she either makes something up about Silly Mad John and his family, or counts to one hundred over and over! I guess unless you've been in the situation, it is hard to understand my kids' world. They are together 80% of the time and then suddenly they are wrenched apart through no fault of their own. Anna and Amaia don't really understand where their family goes to or why. Léon's not overly sure either. When you are little, time passes much more slowly so it is hard for the little ones to remember after their July separation, that another week like this will come again at Xmas and in April. They feel like lost souls at times.